We had storm damage and did't even know it! 800-NEW-LOOK helped us get a new roof, almost free!!! The team was very professional and quick!!! Awesome job and they made every effort to make it easy on me!!! What an awesome experience. 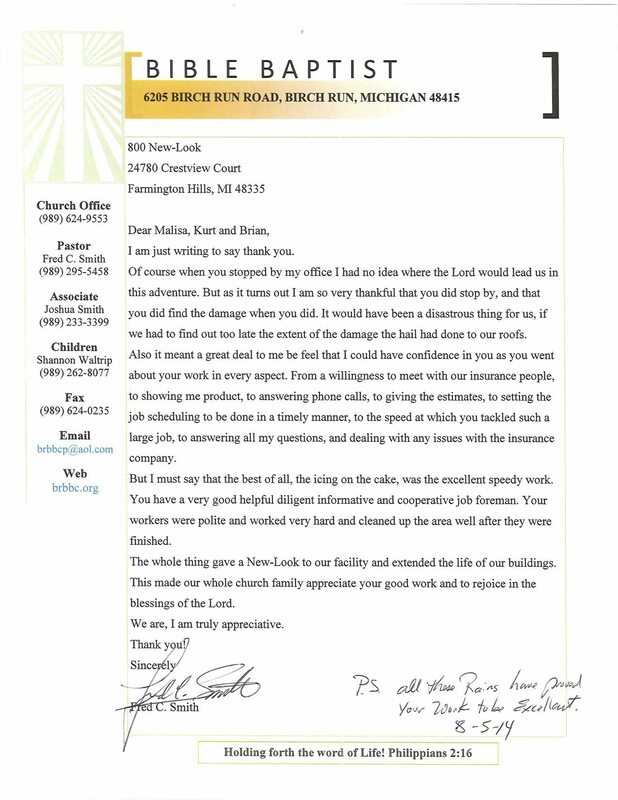 We had storm damage so New Look worked with our insurance company to complete our job. They talked with the insurance company many times to do the job right. 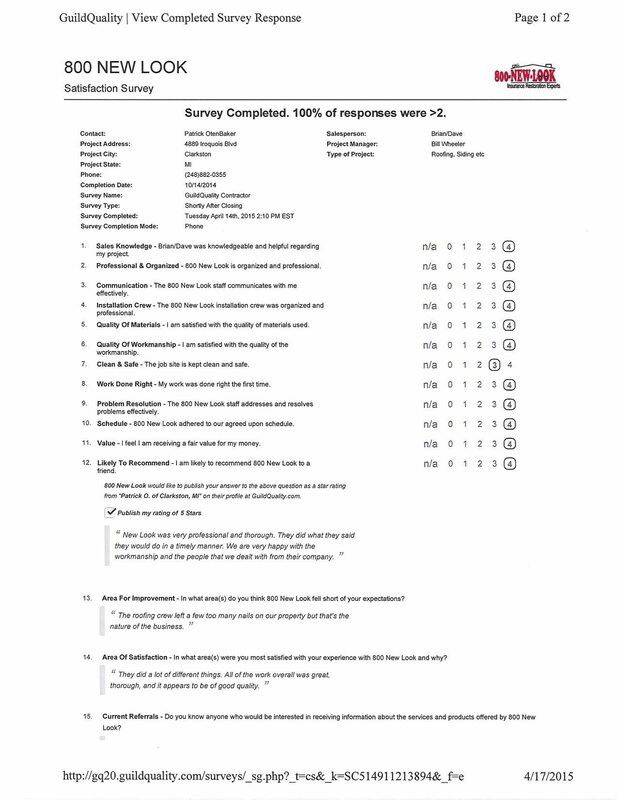 From start to finish, everyone we encountered was nothing but professional, helpful and nice. THANK YOU New Look for the fantastic job. I have given many people your information. The customer service was excellent. Brian explained the entire process and kept us updated each step along the way, The work was timely and well done. Glad we picked NEW LOOK and would recommend to anyone with storm damage who needs help fast! It felt so great to have someone reliable, that kept up with all of the work done by the roofing company contracted. 800 new look was right on track, on time, and produced great work! Our roof has never looked better. Thank you for the amazing work and service! Highly recommended! 800 NEW LOOK gets the job done!! They are super helpful, and have great results. Excellent customer service. I'd recommend them to anyone! They took care of us from start to finish! Owners even stopped by to make sure we where happy with the work being done. Martin stopped in after the job was finished to say hi and make sure we where 100% satisfied. Great experience! Thank you! 800 New Look took care of us after a severe hailstorm - our roofing and siding needed to be replaced and we were fortunate to have them as our contractors. They went above and beyond any expectations we had and it's only fair that we share our experience. Our family is and will always be grateful for the excellent service that was provided to us. Also, much of the work was done during severe weather conditions in the snow but the workers made us their priority. Thank you!